The Great Depression devastated the U.S. economy but not the spirit of the American people. The U.S. flag remained a potent symbol of the relief the U.S. government and the aid it sought to provide to the people. 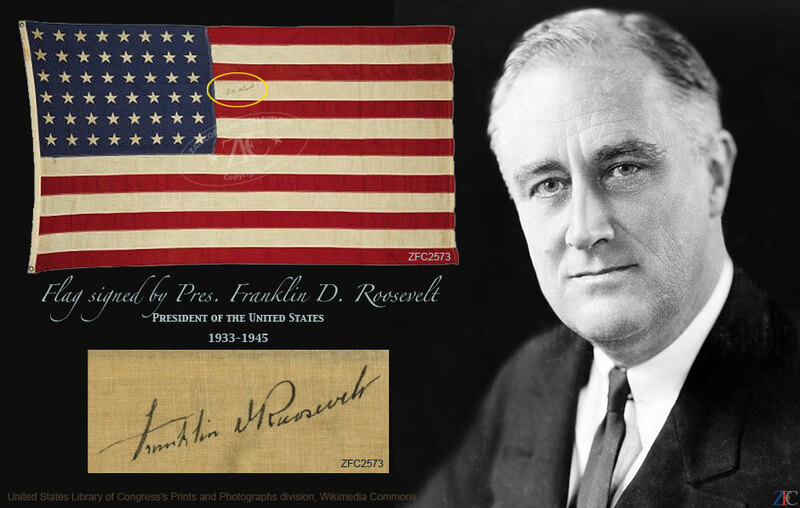 A rare and unique 48 star U.S. flag autographed by President Franklin D. Roosevelt is the centerpiece of this Depression grouping. Also included are flags from the Center for Moral Instruction, low-cost economy flags introduced during the Depression and photographs. Of special note are two quilts from the Depression era: one from a self-sufficient religious community, the other a commemorative from the New York World's Fair.